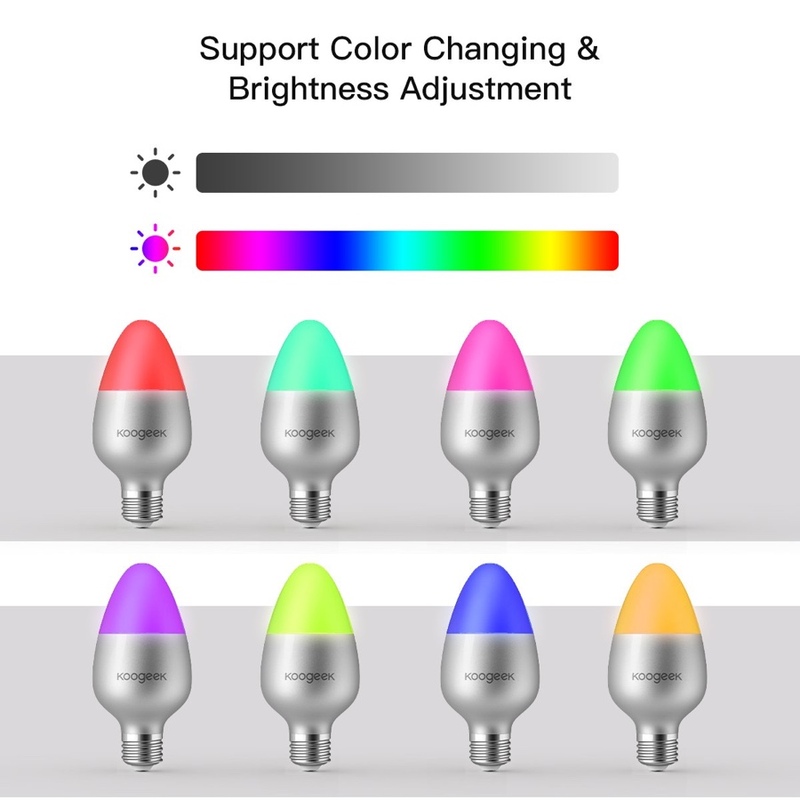 Looking for a smart RGB light bulb for cheap? Koogeek has you covered today with a product that’s discounted to just $18.19 and it packs really nice features and screams high quality. Buying a smart plug or a smart bulb is the way to go if you’re looking to dive into the world of home automation. There are always some deals around to help you make the jump into the sea and Koogeek is here to give everyone a chance to brighten things up, literally. 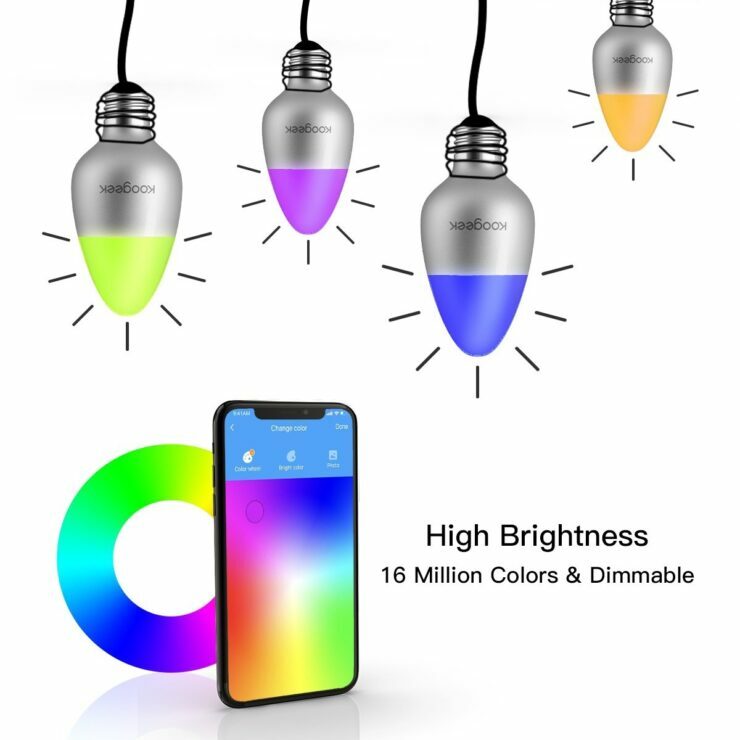 Priced at just $18.19, after you’ve applied the special discount code and on-page coupon, the product in question is a smart RGB bulb that can cycle through millions of colors, allowing the user to set the ambience to their heart’s desire. But that’s not all, regardless of the platform you are on, whether it’s Apple’s HomeKit, Amazon’s Alexa or Google Assistant, this bulb supports it all out of the box. In other words, you can use Siri, Alexa or the power of Google Assistant to control this bulb from anywhere at all. Isn’t that a treat to handle? Once you’ve plugged this bulb in, you just have to connect it straight to your home’s WiFi network in order to control it. There is no fancy hub you have to invest in order to get functionality out of this accessory. It just works as long as you have a WiFi router at home. This is something which every smart home accessory should have. So, if you’re interested in this product, just head over to the link below. Do not forget to clip the on-screen coupon on Amazon in order to get a slightly more discount, bringing the price down to $18.19 alongside the included discount code.